Bob Roth @meditationbob continues to promote Strength In Stillness: The Power of Transcendental Meditation. His new book is currently Number 1 in All Books on Amazon in Australia! Here is an interview on Australia’s popular television morning show, Today Extra. Team Coach Nine bill Bob as Hollywood’s meditation master, and Guru to the Stars. Watch this dynamic 5-minute interview: The meditation technique Oprah and Seinfeld swear by. Bob also appeared on ABC’s Breakfast News Show. Roth focuses on Transcendental Meditation, an approach he describes as “the simplest meditation technique” to access the inner reserves of calm he says are already inside everyone. Roth says Transcendental Meditation is backed by scientific evidence and is a tool to treat anxiety, post-traumatic stress disorder and even Parkinson’s disease — actor Michael J. Fox is among his high-profile clients. Oprah is one of the technique’s most outspoken converts, describing it as “the most ‘human-friendly’ meditation” and loving it so much that she had Roth teach it to more than 400 employees at her production company. Read two great articles: Bob Roth interviewed for Starts at 60 during Strength in Stillness book launch in Australia. Also see Good Morning America’s Robin Roberts and George Stephanopoulos interview Bob Roth and other news coverage listed there. I find it fascinating that Norman Rosenthal and Jerry Seinfeld have come up with their own opposite electrical analogies to describe how Transcendental Meditation works — as both a surge protector and a battery charger! People exposed to continual stressful trauma suffer from PTSD. Dr. Norman E. Rosenthal says Transcendental Meditation is like a surge protector against stress. First it calms the amygdala; it turns down that alarm bell where there no longer is a fire. And equally important, TM acts as a buffer against future stressful reactions. The nervous system becomes more resilient to stressful stimuli; they’re no longer interpreted as such. The individuals have normalized. Jerry Seinfeld compares TM to a phone charger for your whole body and mind. He reminds us how we charge our cellphones and then use them throughout the whole day. That’s what TM does for him. It sets him up for his day fully charged until his next TM session to recharge. Rosenthal was interviewed and Seinfeld mentioned in an excellent article for Prevention Magazine by staff writer Sarah Klein. It’s nicely designed with graphics, photos and relevant links to cited studies and video clips. Others interviewed were Bob Roth, executive director for the David Lynch Foundation, and Sandy Nidich, professor and researcher at Maharishi University of Management. Others referenced and linked to are Ellen Degeneres, Jim Carrey, and Oprah Winfrey. Klein seems to understand her subject even though she probably has not experienced it. Her writing is clear and objective. She’s done her homework when it comes to the science, and integrates her interviewees remarks to full advantage. It’s a pleasure to read a TM article like this when someone gets it right! Enjoy reading This Is Your Brain On Transcendental Meditation. For information on Transcendental Meditation visit www.tm.org. A month before the Prevention Magazine article, Bob Roth was invited to give a talk on Transcendental Meditation at the 3rd annual Prevention R3 Summit. He spoke January 15, 2016, the opening night of the Summit, at ACL Live in The Moody Theater in Austin, Texas. Check the DavidLynchFoundation YouTube Channel for a description of his talk. Austin Art Examiner writer Nicolette Mallow was there and interviewed Bob Roth for her article on this self-transcending form of meditation that can transform people’s lives for the better. In related news, read about The first Transcendental Meditation elective course offered at a major US medical school. Jennie Gritz explored the use of TM in education in her article for The Atlantic: Quiet Time Brings Transcendental Meditation to Public Schools. For those who have been following Jerry Seinfeld’s award-winning online series Comedians in Cars Getting Coffee, his latest guest was Howard Stern. (See The Last Days of Howard Stern.) Jerry and Howard talked for several hours about a wide range of topics, including how their over 40-year TM practice has impacted their lives. Because of time constraints that section had to be edited out, but Jerry gave us permission to share this 6-minute segment for everyone’s enjoyment! Thanks guys. See another blog post where Howard Stern talks about TM on Letterman. Embedded there is a video of Oprah and Dave talking about meditation. He reveals that he and some of his staff have been doing TM. They learned it from Meditation Bob, who happens to be the same person who taught Oprah. A year later, Lindsay Lohan is on Dave’s show and they decide to call Oprah. They mention Meditation Bob, which is Bob Roth’s Twitter name. The Washington Post described the three of them as a Comedy Dream Team. Newly added from Issue 20 of Enlightenment, The Transcendental Meditation Magazine: Jerry Seinfeld Talks TM with Bob Roth, a partial transcription from the Sirius XM radio show “Success Without Stress.” Click here to listen to the complete 60-minute interview. To learn how to meditate, visit http://www.tm.org. This article on Transcendental Meditation was one of the rotating stories on The Daily Beast today, April 23, 2013. It was the 9th top story of rotating images in the big box on the upper left corner of the home page. The article appeared as a result of Rupert Murdoch learning to meditate last weekend. It was supposed to be private, but he tweeted about it and drew media attention. Click on the links below to see photos and descriptions of the 14 featured meditating celebs. Transcendental Meditation has made its rounds with celebrities as far back as when the Beatles were a unit, but is once again creeping up as the latest trend among celebrities. 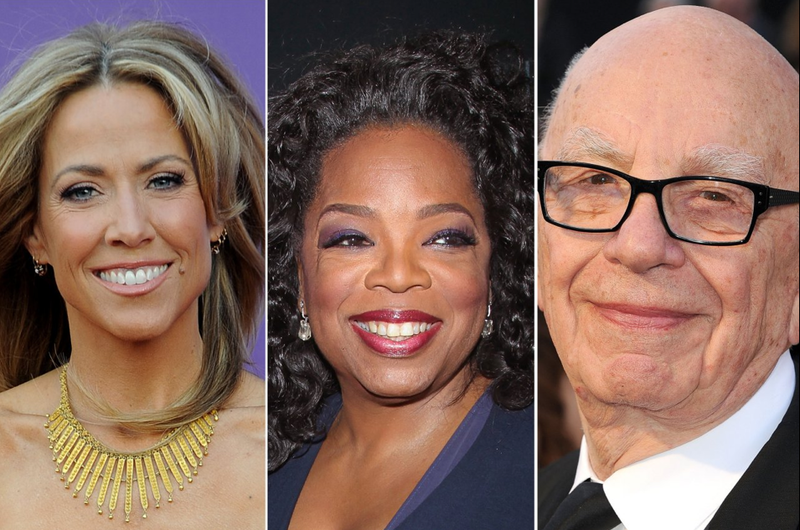 Rupert Murdoch recently tweeted on his indoctrination into the mantra meditation movement, Oprah Winfrey devoted an entire show to it, and David Lynch even launched a nonprofit foundation for the practice. The technique was established in India by Maharishi Mahesh Yogi in the 1950s and has spread worldwide since, used as a means to relieve stress and build personal development. The practice involves twice-a-day, 15- to 20-minute meditations, and courses are taught by certified instructors for a fee. See which other stars are endorsing the practice and taking time for some inner peace! Read celebrity descriptions and view all (15) photos in fullscreen. Most of these celebrities, in order of appearance, practice and/or are connected with TM in some way: Rupert Murdoch, David Lynch, Russell Brand, Shirley MacLaine, Sheryl Crow, Paul McCartney, Oprah Winfrey, Moby, Katy Perry, Howard Stern, Hugh Jackman, George Lucas, Clint Eastwood, and Candy Crowley. Read a related article: 14 Executives Who Swear By Meditation–10 do TM. Also see Why CEOs, actors, and pop stars love Transcendental Meditation | Well+Good NYC and What do Stephen Collins, Ellen DeGeneres, Russell Brand, Russell Simmons, David Lynch and Oprah have in common? and The New York Times: Look Who’s Meditating Now. I love this frank quote from memoirist Cheryl Strayed on the role of artists and writers in society during this CBC interview, Publishing phenom Cheryl Strayed, with Q host Jian Ghomeshi posted on Q Blog Monday, December 31, 2012. Here’s their description. Cheryl Strayed had a banner year in 2012. Wild, her memoir of hiking the Pacific Crest Trail while working through grief, divorce, and a dalliance with drugs, was a bestseller. Oprah Winfrey even relaunched her book club for it. Strayed also outed herself as the popular online advice columnist Dear Sugar, and published a collection of columns as Tiny Beautiful Things to rave reviews. Back in September, she dropped by Studio Q to talk about literary success and what it really means to be a “fearless” writer. Watch the 15:38 edited version minus the formal introduction on YouTube: “Wild” author Cheryl Strayed in Studio Q. See what other writers have to say about writing on The Uncarved Blog. Found this interesting article: The Wandering Writer: A Tour through Inner Northeast Portland with Cheryl Strayed. Business Insider, a U.S. business news and analysis website, serves as an aggregator of top news stories from around the web. Their original articles are cited by media outlets like the New York Times and National Public Radio. The May 9 issue compiled a list of 14 successful business executives who meditate, 9 of whom practice TM. They swear by it. This makes sense as a growing number of business executives have been turning to the Transcendental Meditation program to increase alertness, eliminate stress and fatigue, and enhance their creativity. It’s a major factor accounting for their ongoing success. This list is posted on the website’s War Room page filed under Strategy. Not all the executives say what kind of meditation they practice, but their reasons for doing so are practical and compelling. The ones who do mention TM are: Bridgewater Associates founder and CEO Ray Dalio, who tops the list; former Medtronic CEO Bill George; Def Jam Founder Russell Simmons; Oprah Winfrey; Legal Sea Foods CEO Roger Berkowitz; Ramani Ayer, former Chairman and CEO of The Hartford Financial Services Group; Steve Rubin, former CEO and chairman of United Fuels International; Executive Management Associates CEO Nancy Slomowitz; Marnie Abramson, of the family-owned Tower Companies real estate firm; and Tupperware CEO Rick Goings. CEOs have stressful jobs, and some have taken to intense hobbies to find solace from the daily grind. Some practice meditation—or even Transcendental Meditation, a mantra-based technique derived about 50 years ago from ancient Indian practices. We’ve compiled a list of leaders who say that meditating gives them an edge in the competitive business world. Some have even built it into their company’s culture. Click here to read how meditation helped the others become more effective executives. Some even paid for their employees to meditate, reducing healthcare costs and increasing productivity—a smart investment with a profitable return for themselves, and their employees. For more information on TM for executives, visit this website for the Center for Leadership Performance: Optimizing Wellness, Productivity and Profitability: http://www.tmbusiness.org. 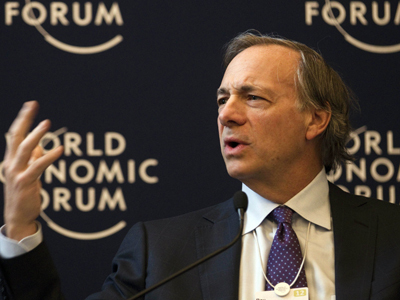 I haven’t seen it yet, but a friend said the first Chapter is on Ray Dalio. In it he speaks highly of TM and is quoted saying it is “the single biggest influence” on his life. He later gives more reasons why he finds it helpful. Also see: 14 Business Leaders Who Swear By Meditation. Newer article: Celebs who meditate featured in The Daily Beast. See Fortune, Forbes, Business Insider report on the beneficial effects of @TMmeditation in business. I enjoyed reading Midwest Meditation, a well-written article by James Edward Johnson, published in the Around the World section of Fall 2010-Issue 12, by The PresenTense Group: Fostering Innovation. It’s available online. Here it is reproduced for your reading enjoyment. Small-town Iowa is not the place one expects to find a blossoming Jewish community. However, Fairfield is different from most Iowa towns. Much of its population began moving there in the mid-1970s, when the Maharishi International University (now Maharishi University of Management, or MUM) was founded. MUM is the learning and communal meditation center for the Transcendental Meditation (TM) Movement, in which members use TM techniques to achieve a deeply tranquil level of consciousness and a state of restful alertness. Among Fairfield’s population of 9,500, approximately 200 residents are Jewish, and nearly all of them are TM practitioners. When Jewish TM practitioners came to Fairfield, there was no established community, and the nearest synagogue was 25 miles away. Though they had not come for a Jewish community, they created one when they arrived. MUM was established on the former campus of Parsons College, where a Torah scroll was left behind by the college’s Hillel chapter. It was the first major asset of the Fairfield Jewish community. Today, the community holds most Kabbalat Shabbat services at Congregation Beth Shalom, a building that functioned as a Baptist church before the Jewish community purchased it in 1984. The unassuming synagogue looks like a place of Jewish prayer in any small Midwestern town. The ritual items and decorative symbols show no indication that most congregants are TM practitioners. 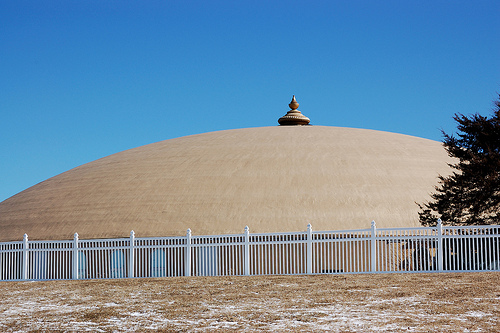 Yet before Kabbalat Shabbat services, most Jews join communal meditation at one of Fairfield’s two gigantic golden domes. The larger community of committed TM practitioners in Fairfield is disproportionately Hindu, due to the Hindu background of TM’s founder Maharishi Mahesh Yogi. Pictures of Hindu gods such as Rama and Ganesha appear in many places around Fairfield. Jewish TM practitioners explain with the regularity of a mantra that “TM is just a technique,” rather than a religious practice. “The important thing in the practice of TM is this experience of unbounded awareness. That reality is not a religious reality and has no connection with a specific religious tradition,” explained Rabbi Alan Green, who lives in Canada but has deep roots in Fairfield and is unofficially regarded by many as its rabbi. “Meditation was my chief inspiration for wanting to become a rabbi…I realized that this experience of unbounded awareness was the experience of God,” Green said. “It’s like going to yoga class…it doesn’t mean that you are Hindu… You go on and go to shul afterwards,” said Kabuika Kamunga, a Jewish TM practitioner born in Kinshasa, Democratic Republic of Congo. She converted to Judaism after working as an au pair for a Jewish family and developed an interest in meditation from a TM practitioner “who was so calm … amid the family brouhaha” at a Passover Seder. In 2008, she went to MUM to get an MBA and learn meditation. Joel and Joy Hirshberg’s home resembles those of other Jews who are serious meditators. A mezuzah greets one at the door. However, the house is built according to the principles of Sthapatya Veda, the architectural form based on the Maharishi’s teachings about natural law. Its entrance faces east, the direction of the rising sun. It has a kalash (cupola) on its roof, connecting the house to the cosmos, and a traditional vastu fence (picket fence) to define the homestead. The house has a Brahmasthan, an unobstructed center lit by a skylight, which gives the house wholeness. When the couple hosts potluck dinners at their home on Shabbat, however, the space transforms into a typically Conservative minyan for services. Congregants read from Siddur Sim Shalom and recite much of the service in Hebrew. On many Shabbatot, cantor Haim Menashehoff, who grew up in Tehran, leads the congregation in Persian Jewish melodies as well as melodies common to American synagogues. Anyone hoping for a service infused with the style of a kirtan mantra (a Sanskrit call-and-response chanting form) would be sorely disappointed. Tradition is alive and well in this otherwise nontraditional Jewish community. Although the author wrote a very clear accurate article on this topic, he does make an inaccurate assumption—that most of the meditating community are Hindu because of TM’s founder, Maharishi Mahesh Yogi’s background—but this is just not the case. Maharishi was a great scientist of consciousness. He taught a systematic method of meditation, a scientific understanding of it, and the nature and development of consciousness to its full potential. Is the theory of Relativity Jewish because Einstein discovered it? Is gravity English because Sir Issac Newton discovered it? Is genetics Catholic because Gregor Mendel discovered it? Maharishi’s cultural and religious background are separate from what he taught. In fact, he always said that Transcendental Meditation would allow people from different backgrounds to better understand and appreciate their own religion. That’s certainly been the case here as people from different faiths attend the church or temple, and in this case, synagogue, of their choice. Actually, there are very few Hindus in Fairfield. But there are students from many different countries and faiths, including many from India and Nepal. The campus is multinational, like a miniature United Nations. Also, there are more restaurants per capita than San Francisco. For example, there are 3 Indian restaurants around the town square, including several Asian ones, not necessarily run by meditators. They all have posters on the walls from their religious and cultural heritage. So it is easy to imagine how the author could have come to such a conclusion. There are, however, hundreds of Vedic Pandits from India who also practice TM that have been invited to help create world peace by adding their numbers to the overall effort. But they live completely separate from everyone on their own campus in Maharishi Vedic City, a few miles north of Fairfield, and are never seen in town. Oprah did meet with them during her visit here. It’s the last segment of her show. Click here to see Video segments of Oprah’s Next Chapter on OWN: Oprah Visits Fairfield, Iowa—“TM Town”—America’s Most Unusual Town. Oprah Winfrey devoted her OWN show Sunday night to Transcendental Meditation (TM). But TM is not just for Oprah, it can help start-ups too. At least that was the claim of Dr Sharda S. Nandram, Professor in Entrepreneurship at the University of Applied Sciences HAN, Associate Professor Entrepreneurship at Nyenrode Business University, and founder of Praan Solutions. On March 21st, Nandram and I debated ”The Future of Entrepreneurship: Hungry start-upper vs Spiritual Entrepreneur” at EADA, a Barcelona business school. Nandram cited research in her talk that companies whose employees do TM have higher productivity. Before getting into her remarks and my comments on them, it’s worth discussing what TM is and why it might help companies. The answer, it turned out, was TM. And for Lynch, his sister convinced him to take up the practice. According to Lynch, “One day my sister called, and she said she started TM, and I heard a change in her voice — more happiness, more self-assuredness. And I said, ‘This is what I want.’ Things lift away so naturally,” according to the Seattle Times. When my host, EADA professor Manuel Marin, asked me what I thought of the idea of spirituality and entrepreneurship my first thought was that I do not know what Nandram means by spirituality; however, I see two areas where things that might be related to spirituality factor into start-up strategy. The first, as I posted March 25th, many entrepreneurs start companies not for money but to change the world. If entrepreneurs’ visions of what that world would look like end up improving life for other people, those start-up CEOs are using a kind of spirituality to attract and motivate top talent. Furthermore, when entrepreneurs hire those people, they look for integrity. As I described in my book, Value Leadership, integrity means that people do what they say they will do. And in a start-up, integrity has a compelling business imperative — there is no time or money for people who can’t be trusted. That’s why it is so critical for company founders to conduct exhaustive due diligence on potential employees. So I would argue that depending on your definition, start-ups that want to make the world a better place and hire people with integrity, do benefit from spirituality. Moreover, if others get the benefits that David Lynch claims for TM, it’s worth investigating the notion that TM’s practice among a start-up’s employees could allow them to focus more on the task at hand, reduce their level of anger and distraction, and boost their productivity. If such spirituality is good for business, bring it on. OWN: Oprah Winfrey Network presents a new episode of “Oprah’s Next Chapter” featuring America’s Most Unusual Town this Sunday, March 25, 8:00 p.m. CT (9-10 p.m. ET/PT). On “Oprah’s Next Chapter,” Oprah Winfrey travels to Fairfield, Iowa—one of the safest, greenest and most unusual communities in America—to visit a school where daily Transcendental Meditation® (TM) practice is mandatory. Winfrey then visits the neighboring community of Maharishi Vedic City, where non-organic food is banned and all houses face East — adhering to an ancient Indian style that brings peace and harmony. Also, for the first time, cameras are allowed inside a top-secret, 80-acre compound where 800 Indian men live spending eight hours a day meditating and chanting. Later, Winfrey joins the community at their domes for evening meditation. The episode will only be available in its entirety on the OWN TV network. However, clips and footage may be featured on www.Oprah.com. Once there, find out what channel the Oprah Winfrey Network is on in your area by entering your zip code on the right. Canadian viewers, click here. Watch a Sneak Preview here: Oprah Visits America’s Most Unusual Town. Related: Fairfield Ledger: Fairfield readies for Sunday debut on Oprah network | KTVO: Fairfield to be featured on Oprah Winfrey Network | Oprah writes in O Mag about her visit to TM Town and meditating with ladies in their Golden Dome | Some Reports on Dr. Oz’s Interview with Oprah about TM and her Next Chapter | Oprah meditates with ladies in MUM Golden Dome | Reports of Oprah’s visit to Fairfield, Iowa | Oprah says she and her staff meditate, enjoy a Quiet Time twice a day—Facebook Live interview. Also see The Iowan: Sizing Up Small Towns: Rethinking Success in Rural Iowa: Fairfield Thinks Inclusively.